AUSTIN, TX–(Marketwire – Jan 15, 2013) – Front Page PR, the industry’s #1 crowdfunding PR firm, rolled out a new “Crowdfunding Press Center” (https://crowdfundingpr.wordpress.com) to help reporters, industry analysts as well as entrepreneurs, small businesses and accredited investors get acclimated to the new equity crowdfunding industry which is about to skyrocket in the United States. Regardless of whether clients want to raise money successfully using donation-, lending-, perks-, rewards- or equity-based crowdfunding portals, Front Page PR can advise clients on how to build crowdfunding profiles, shoot introductory videos, provide attractive rewards and perks, schedule event and email marketing campaigns to boost the middle of the campaign lull as well as setup campaign fulfillment houses to ensure rapid crowdfunding campaign fulfillment after the deal is done. Many people think that securing positive stories in the press necessitates a miracle, but in reality it is really just a simple process of understanding what the media needs to do their job. The media is always searching for a great story that teaches their readers something important. 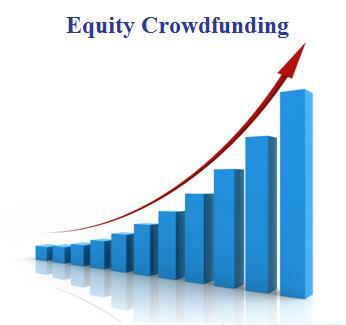 The crowdfunding industry is expected to grow rapidly into a $300 billion investment industry. Front Page PR is currently seeking seasoned marketing professionals to fill PR, media relations, investor relations, social media networking and digital content management roles to help us scale to meet the skyrocketing market demand for professional crowdfunding marketing and PR experts. Forward resumes to the email below. In addition, we provide white-labeled marketing programs for all crowdfunding portals that want to increase their platform client’s crowdfunding success rate. The Crowdfunding Phenomenon Heats Up!